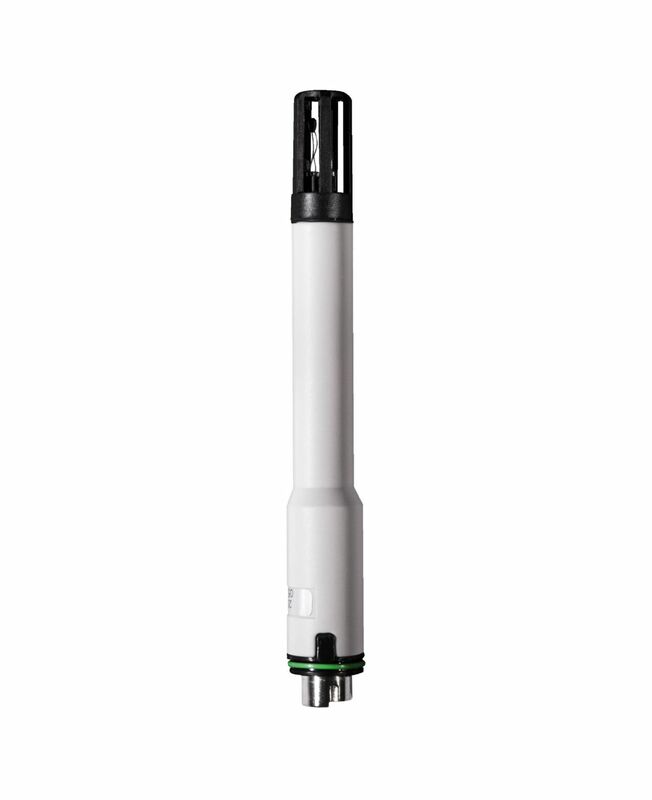 Saveris 2 stub probe for measurement of ambient air temperature and relative humidity in open spaces or walk-in coolers. The humidity/temperature probe plugs to the port at the bottom of the logger. The Saveris H2 DIN plug port also accepts flexible cable temperature/humidity probe 0572 6172, for insertion to environmental chambers, incubators, or air ducts. The humidity sensor for measuring relative humidity is designed to provide long term stability. It is condensation resistant and can be calibrated with traceable NIST certification.